Invite good karma into your day with Wholesome Yogi. This mix of heart healthy nuts is well balanced with nutritious pumpkin seeds, flavour-filled cranberries, and topped with Greek yogurt chips to help support healthy digestion. 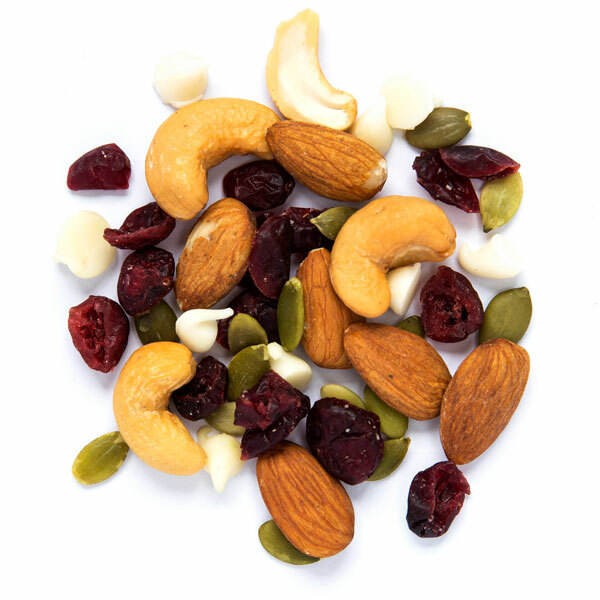 Remember to breathe and enjoy one of the most nutritionally beneficial snacks we offer. Wholesome Yogi will leave you feeling like you've just woken from a long, deep savasana. Namaste!